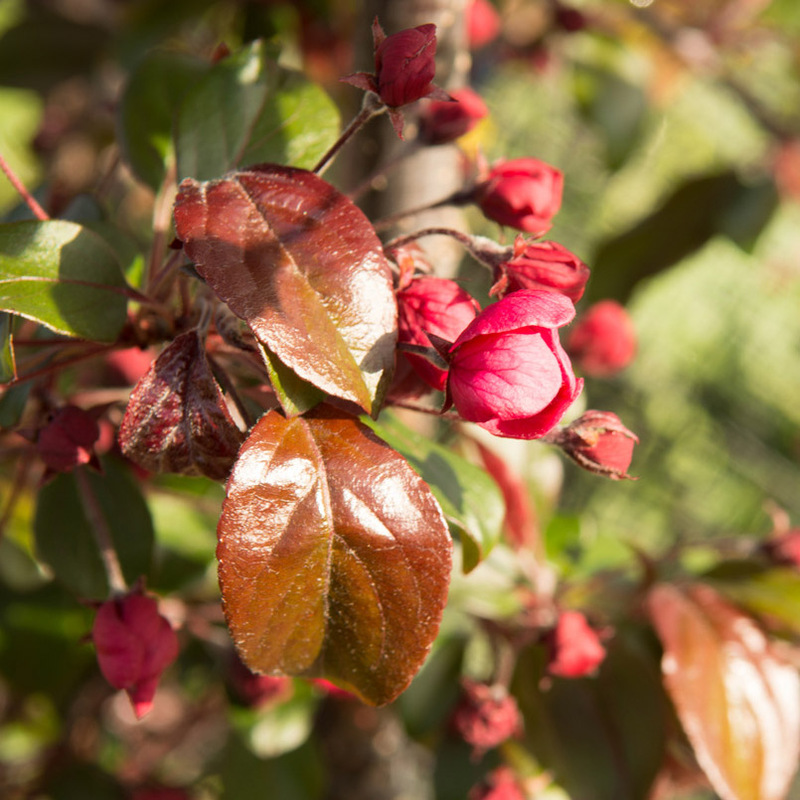 Malus Toringo Scarlett is a superb all seasons flowering crab apple tree' due to the many characteristics it displays all year round which is unusual for a crab apple tree. It is so amazing that the RHS awarded it an AGM. For those outside the industry, that means the Royal Horticultural Society gave it their Award Of Garden Merit. A process where leading experts secretly meet up on an allotment, usually in the only shed with a wood burner plus secret alcohol stash and pick the years best species. 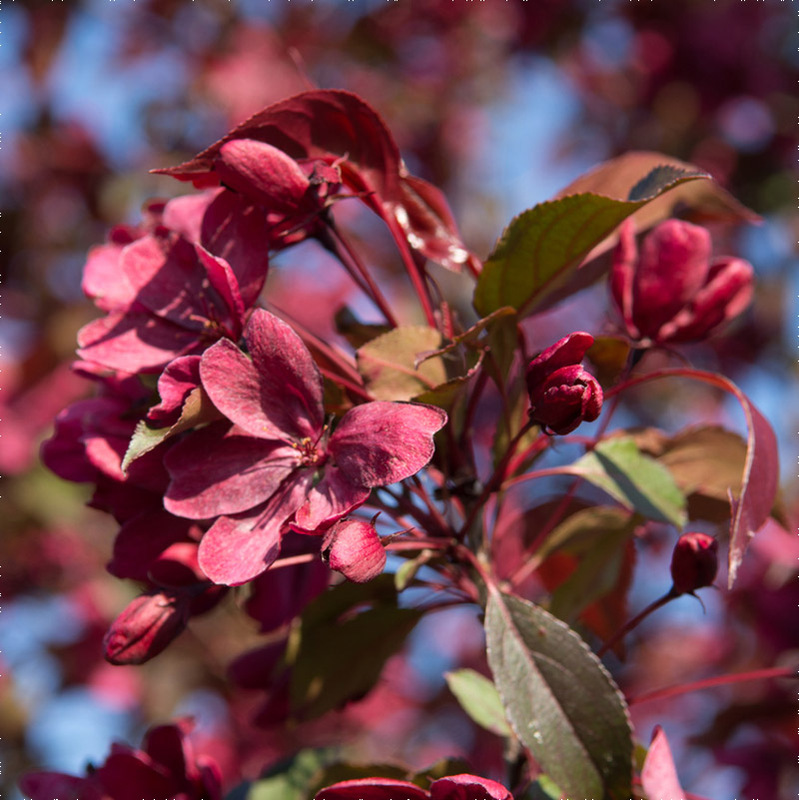 The show starts in the Spring with rich pink fragrant blossoms that contrasts nicely with the new purple, deeply lobed leaves that turn into a dark glossy green in the Summer. Going into Autumn you can expect them to turn a Scarlet colour with purple tints and possibly stay on the tree until November. The small purple crab apples last well into the season remaining on the tree long after leaf fall. 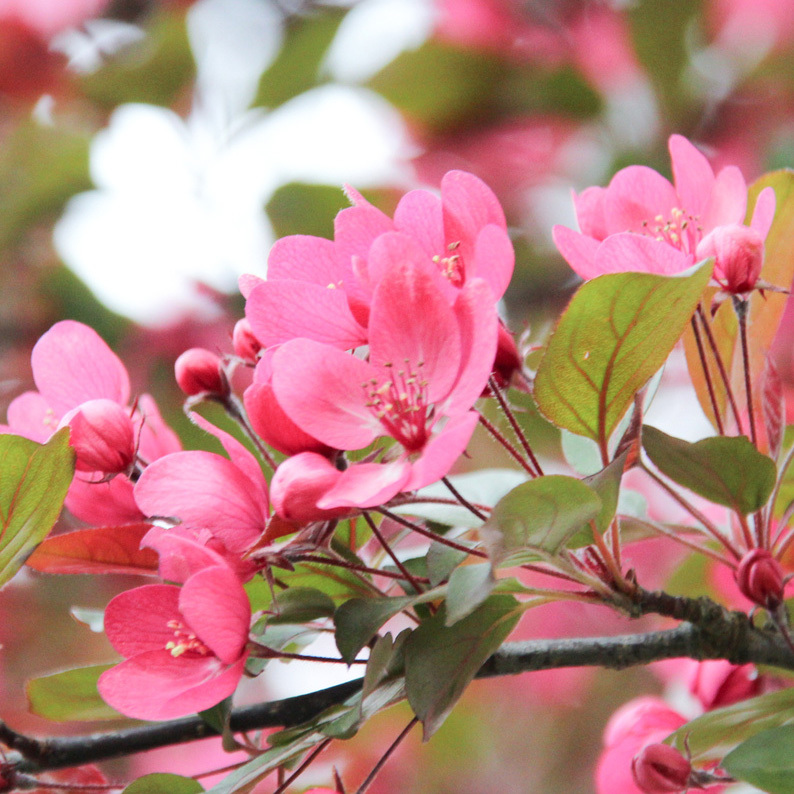 Compared to many other crab apple trees, this one has more disease resistance. 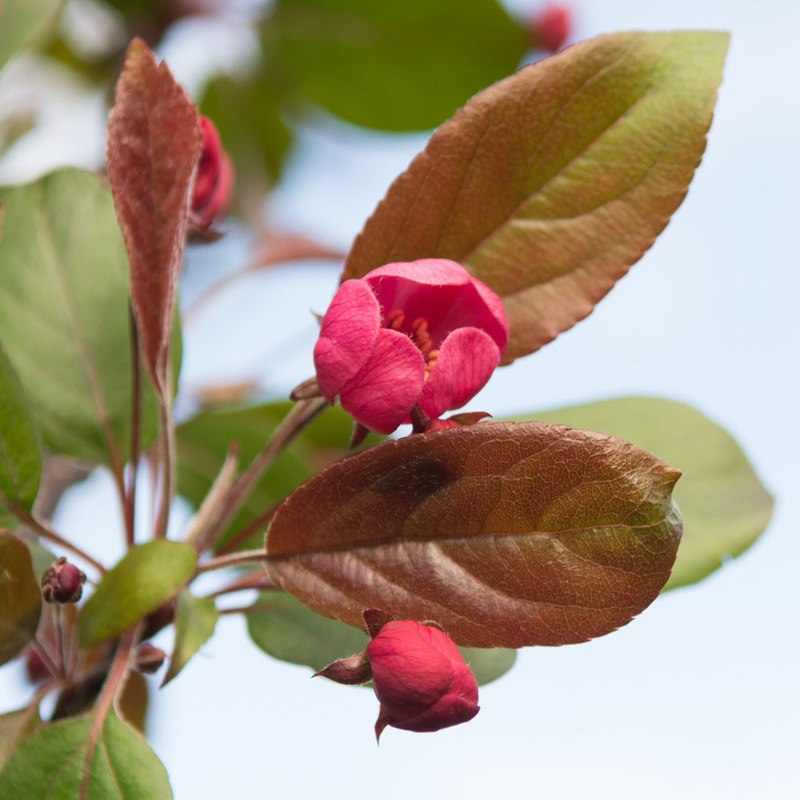 By that we mean diseases commonly found in Malus trees, not things like Alzheimer's. 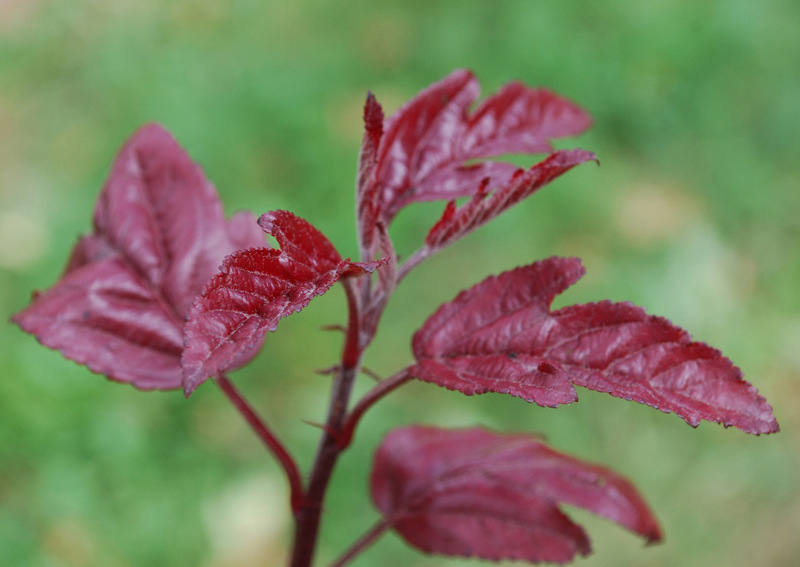 Expect extra wild life to come to your garden because of having Toringo Scarlett in your garden. By that we mean birds, insects and other wildlife commonly found in the UK. Lions, Rhinos, Wilderbeasts etc have no attraction that we know of to this tree so please don't email us to say how disapointed you were to have inspected the foliage and not found them. A Tree of Danish origin so if you start to experience bacon desires and exhibit liberal views after planting, this maybe the reason why. Toringo Scarlett is a small tree so expect a height of around 4m tall and something similar wide at the 10 year point. Manual pruning will mean you can keep the tree to whatever height you choose. This tree is supplied at a height of between 1.2 and 1.8 metres in a 7-12 litre container for year round planting and better results than from either bare-root or rootballed stock. This tree will benefit from an occasional pruning to thin out the branches to promote new growth. You definitely need to cut out dead, diseased or crossing over branches and the dormant period, which is November to March, is a good time to do that.